Soak cashews in water at least 2 hours or overnight. Rinse and drain. Processor cashews, syrup, juice and oil together until very smooth. Set aside. Process carrots to a paste. Add all remaining ingredients and process to a thick smooth paste. Lightly grease and line an 18cm round spring form cake pan. Spread half carrot mixture evenly over base of pan. Freeze 15 minutes. Spread one-third of cashew frosting over chilled carrot layer in pan. Freeze 15 minutes. Repeat carrot layer. Freeze 15 minutes. Release cake from pan invert onto serving plate. Spread remaining cashew frosting over top and sides of cake. 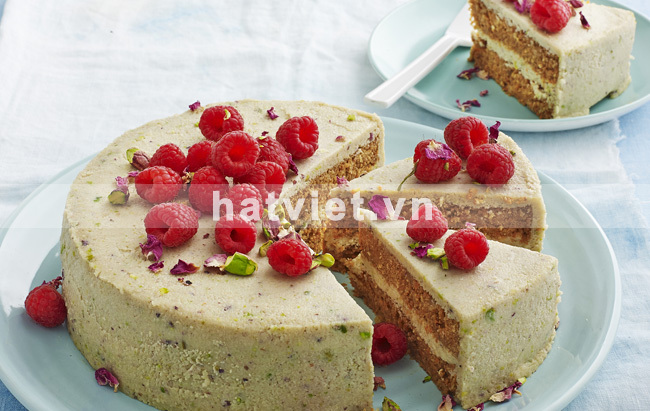 Garnish with raspberries, pistachios and rose petals. Soaking softens the cashews to create to smooth creamy paste. 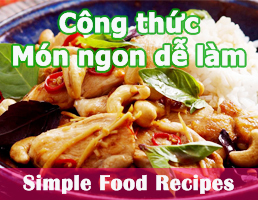 You will need a good quality food processor or blender for this recipe. You will need about 3 bananas for this recipe.